MARLBOROUGH, Mass. 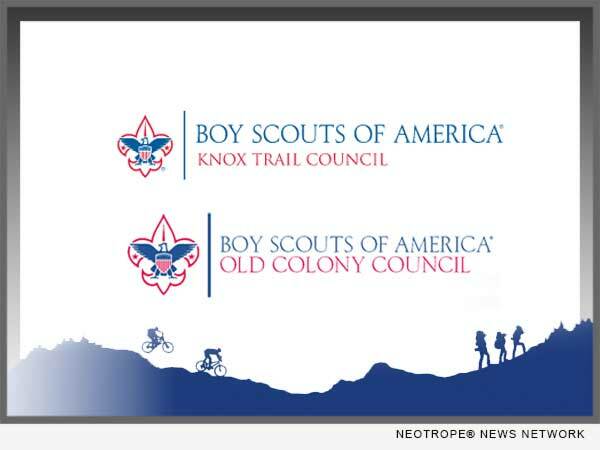 /Massachusetts Newswire/ — Following their respective Special Council Meetings, the Knox Trail Council and the Old Colony Council of the Boy Scouts of America, announced today the approval of their consolidation and merger to form a new Boy Scout Council. This new council will serve youth and young adults from the metrowest to southeastern Massachusetts. “We’re thrilled that our volunteer leaders voted to move forward with the merger plans of these two healthy councils. This creates a firm foundation for scouting to thrive in our region for years to come,” said Knox Trail Council President Sherry Bowden. As a merger of equals a new name will be chosen for the combined council during 2017 which will carry forward the strong traditions of both councils and set the course for a united future. The consolidation will result in more operating efficiency, thereby freeing up personnel and financial resources that can be reallocated to serve unit leaders, youth and their families. The scout offices in Canton and Marlborough will eventually be replaced by an office in a central location. Camps Nobscot, Resolute, and Squanto are key assets and all three camps will be retained and used by the new council. The new council will serve over 11,000 young adults in 62 communities around Boston. Knox Trail Council serves 21 towns and cities across the metrowest from Newton to Stow to Westborough to Mendon. Old Colony continues south from the Knox Trail region, serving 41 communities in southeastern Massachusetts from Bellingham to Hull to Plymouth. The new council will serve young adults with a full range of Boy Scout programs including: Cub Scouts and Boy Scouts for boys and young men from kindergarten to age 18 and the co-ed Explorer and Venturing programs for young men and women in their teens. Currently there are 332 Boy Scout Troops, Cub Scout Packs, Explorer Posts, and Venture Crews across the 62 communities served by the new council. Christopher Laird Simmons has been a working journalist for over 30 years, and is the founder/CEO of Neotrope®, and the senior editor/publisher of MassachusettsNewswire.com. Effective, affordable targeted newswire dissemination in Mass. or nationally, professional press release writing, plus online marketing. A service of NEOTROPE® Founded 1983. Member BBB. MASSACHUSETTS NEWSWIRE™ (MANW) is an online news publication of the Neotrope® News Network, USA. MANW covers business, entertainment, finance, nonprofit, political and technology news from Massachusetts, USA. Massachusetts Newswire is a TM of Neotrope. All content is Copr. © by Neotrope. Copr. © 2000-2016 NEOTROPE® USA.